Many people are familiar with prenuptial agreements, yet far fewer are aware that you can also sign a postnuptial agreement. 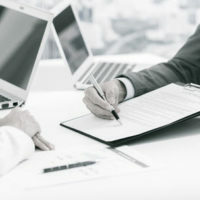 As the name implies, this type of agreement is created after a marriage; though, despite that fact, it has much the same legal effect as does a prenuptial agreement. Postnuptial agreements can be very valuable to some couples. Indeed, in certain situations, a well crafted postnuptial agreement may even save a marriage. Here, our experienced Orlando marital agreements lawyer discusses three things you need to know about postnuptial agreements in Florida. What the Benefits of a Postnuptial Agreement? How to address certain issues (property division, child custody, etc.) should one spouse pass away. What Should I Do Before Signing a Postnup? Never sign a postnuptial agreement unless you have had it thoroughly reviewed by an experienced attorney. If you have been presented with a postnup by your spouse, it is a best practice to hire your own attorney who can review the document for you. Do not rely solely on a lawyer hired by your spouse. The bottom line: You should not sign anything that is not in your best interests. You have no legal obligation to sign any postnuptial agreement at all. Do not let your spouse pressure you into signing an agreement that you do not believe is in your best interests. If the proposed postnup is asking you to make certain concessions, it is only fair that equivalent concessions are made by your spouse that are in your favor. Will a Florida Court Uphold My Postnuptial Agreement? It must be reasonably ‘fair’. While Florida courts want to uphold voluntarily bargained-for agreements, it will not enforce postnups that violate the aforementioned requirements. A postnuptial agreement is an important, complex legal document. Before you sign, please be sure to speak to the experienced family law team at the Law Offices of Steve W. Marsee, P.A. From our office in Orlando, we proudly represent communities throughout Central Florida.